Combining the freedom of Analysis Workspace with the power of segmentation, calculated metrics are now one of the most powerful features available in Adobe Analytics. In this post, Brad shares his expert guidance on how to create calculated metrics that enable complete, deep analysis. He will walk you three hypothetical situations to give you examples of common data analysis problems and how to creatively solve them using the calculated metrics builder. A vast majority of Americans believe that data privacy is important, but few believe they have control over their own privacy settings. This presents companies with an opportunity to stand out by taking their customers’ security concerns seriously. Read how we partnered with Healthcare.gov. to do just that. Many tag management vendors are starting the shift towards building customer data platforms — a collection of data used to build unified customer profiles that can then be shared with other marketing tools. Our VP of Analytics explains how Tealium enables you to take action on your data with the three tools within its customer data platform: Tealium iQ, AudienceStream, and DataAccess. Find out how to use them for maximum positive impact on your business. Adobe Analytics users are probably familiar with first touch and last touch attribution models, but we find that many aren’t clear on the advantages and disadvantages of other attribution models. In this deep dive post from one of our Certified Adobe Analytics Analysts, we’ll show you how to get more valuable insights from your Marketing Channels reports. Get actionable tips on how to leverage other attribution models to optimally allocate credit to marketing channels and more effectively analyze customer conversion paths to help you meet your ultimate goal of optimizing your marketing investments. As your business grows, you can drastically improve your marketing performance by segmenting your customers. Learn how to create data-driven campaigns that are more relevant to your various customers, ultimately increasing response rates and sales. Includes a simple step-by-step RFM analysis example, plus easy-to-follow checklist to take your email marketing to the next level. Data analysts have been waiting a long time for Tableau to add the Holy Grail of functionality, cross database joins. And with Tableau 10 just around the corner, it is on the threshold of arrival. Get ready for a shorter, more simple path to a holistic picture of your data. Instead of being dependent on IT, you can join data to create reports and visualizations to answer your own questions. Do you trust your web analytics data? Whether it has been a week, a month, or a year after your web analytics strategy is implemented, how do you know if the tracking is still accurate? Most likely you don’t and you are not alone. Data tracking monitoring and data governance in digital analytics is only beginning to gain visibility. Unless you test every single component of the implementation, every day (which is by no means practical) you cannot have full confidence in your data quality. There are several enterprise level and open source solutions in the market to address this business-critical issue of maintaining data quality. 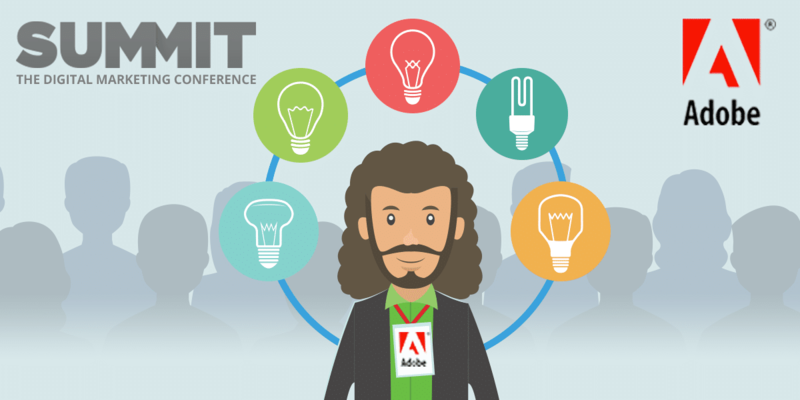 Every year, thousands of marketers gather together for about a week of industry insights, forward thinking, product reveals, and geekery at Adobe’s analytics and marketing summit. With more than 10,000 attendees, there was a lot of excitement and high expectations. Adobe did not disappoint and their knack for grandiose aesthetics was on full display. Between the perennial favorite “Sneaks” session, and the Donny Osmond duet with Adobe’s VP of Strategy John Mellor, this was a Summit to remember! Learn about the 5 key summit takeaways that impressed us. Google Analytics Autotrack – Should You Use It? Autotrack from Google Analytics is a nice tracking enhancement for those not using tag management, and for those using only the most basic tracking snippet. For those who are asking more advanced questions of their data and thus have deeper analytics needs, a more advanced solution is required. That solution should take advantage of automated data collection for speed and ease of use, but include custom options for flexibility. Learn when Autotrack is the right choice, or when you should reject it for a more robust solution like our BAT (Blast Analytics Tracking) framework that is tool agnostic and has an extraordinary ability to scale and evolve with your needs. Your company performance is strong and your user base is increasing, but you aren’t satisfied and want to drive growth to the next level. You need scalable analytics to succeed. Raw, unsampled data is critical to providing your company the answers it needs to stay competitive, innovate, and gain a competitive advantage. Unfortunately, commercial enterprise analytics solutions carry a hefty price tag. What if we told you there is an affordable solution without compromise? Learn how you can run an enterprise, open source, event-level analytics platform with Snowplow and Amazon Web Services. Cloud data analytics solutions are democratizing data-driven culture and revolutionizing the business analytics world with lower costs, faster implementation and productized analysis. With the right guidance creating a data-driven culture is now easier and cheaper than ever. Industry sources are still warning of dark, foreboding skies, but we’d like to draw attention to the positive signs we are seeing in addressing the analytics talent shortage. Get actionable tips and learn more about the top 3 reasons you should feel better, which includes a fantastic unexpected surprise we had at the Adobe Analytics Challenge event in Utah. Google Analytics Premium clients have the option to export clickstream (hit-level) data into Google BigQuery through a native integration. Clickstream data empowers analysts to answer much more complex (and valuable) business questions, namely by integration with other data sources (e.g. CRM). Many technical teams are new to Google BigQuery and how to work with it. On top of that, the structure of how the GA Premium data is stored in BigQuery may not be obvious at first glance. By following the instructions we’ve provided in this post, you’ll jump-start your knowledge and more quickly arrive at an ETL process that can bring this valuable clickstream data into your own data warehouse. This is last post in this 4 part series where we discuss the Google Analytics Ecommerce marketing reports. Here is a look at the Internal Promotion, Order Coupon, Product Coupon, and Affiliate Code reports, which help you optimize your promotional marketing efforts. Move into the Limitless World of Clickstream Data Analysis! Having a solid web analytics implementation with summarized data can bring value to organizations, but as your analytics maturity evolves you’ll find that highly granular, hit-level data tied to a user will allow you to answer far deeper and more valuable business questions. Stop waiting for your analytics tool to build a feature to answer your business questions. Move into the limitless world of clickstream data analysis! Read this post to start the journey into clickstream data analysis! Telestream reached out to us looking for ways to incrementally improve the sales performance of their website. By devising and executing a series of iterative landing page optimization tests we were able to strategically measure how revenue and conversion rates were being affected, uncover key learnings, and apply those learnings to subsequent iterations along the way. Our proven process delivered astonishing results, and unexpectedly, a Gold Award. Jump in and read this post to learn more. Cross domain tracking has been one of those thorns in Google Analytics implementations. Challenges with tracking users across domains can inflate self-referrals and prevent you from being able to accurately track the source of your conversions. Understanding the source of your conversions is essential to being able to evaluate your marketing campaign performance. Fortunately, Google’s Universal Analytics simplifies the setup process, and we’ve provided some valuable tips in this article that will help you solve common needs and avoid typical issues. In this third post in our 4 post series on Google Analytics Enhanced Ecommerce reports, we take a look at three reports — the newly revised Product Performance and Sales Performance reports, as well as the brand new Product List Performance report. You’ll learn how reports are more focused on revenue, now include product returns, help track performance of product list displays, how eCommerce Reports can be creatively used to track non-commerce site activity, and more.